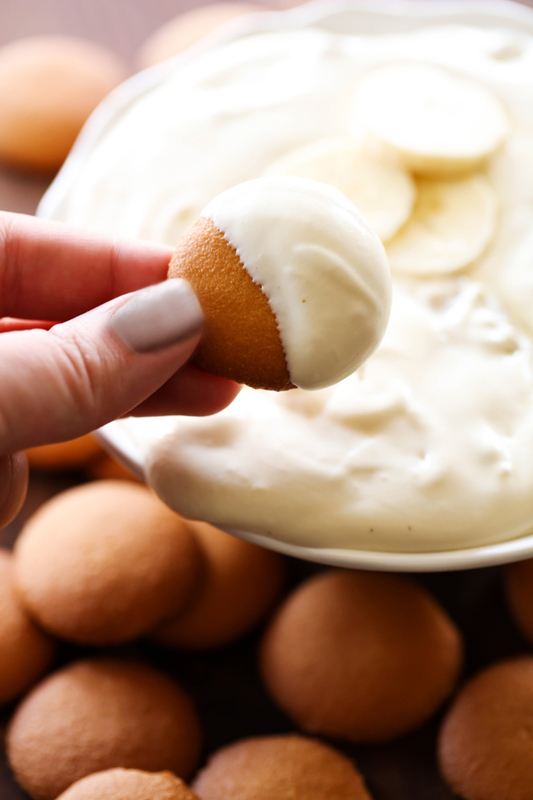 This Banana Cream Pie Dip will be one of THE BEST recipes you ever have! It is creamy, smooth and just the right amount of banana! No one will be able to resist this dip! Today’s recipe is extraordinary! It was so good that I LITERALLY ate it by the spoon full! I am obsessed with this dip and could hardly wait to share it with you all today! After making my Coconut Cream Pie Dip, I knew a Banana Cream Pie version would have to be made and I dare say that this one is EVEN BETTER! This dip has the perfect amount of banana which adds such a nice texture to the creamy smooth dip. It is made using a homemade vanilla pudding recipe with whipped topping and bananas added to knock it completely out of the park! In a medium sauce pan combine sugar and flour. Add 1 cup milk to the sugar/flour mixture and mix well. Add remaining 1 cup of milk and butter to the mixture and stir to combine. Once pudding has thickened, remove from heat and add vanilla. 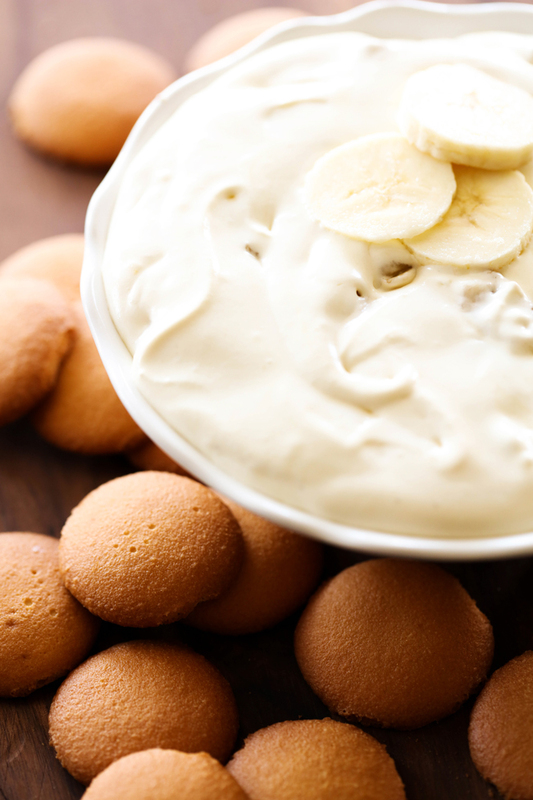 Stir in banana slices and serve with vanilla wafers. How much does it make?? ?